Where are you? Sprint will drive there and deliver a new cell phone if you're eligible for an upgrade. The new program, called Direct 2 You, launched in Kansas City, Missouri, Monday. Sprint (S) plans to provide the service in the 30 largest U.S. cities by the end of September, starting with Miami and Chicago next. Here's how it works: Instead of going to a Sprint store or ordering a new phone online, eligible customers who live in these cities can request a Sprint service rep to come to their home, office, or favorite coffee shop to swap out their old phones for new ones. The on-call assistants will show up in a Fiat 500, wrapped in Sprint signage, and set up the new phone. This includes transferring files from a previous handset, and resetting old phones so they can be reused by other family members. 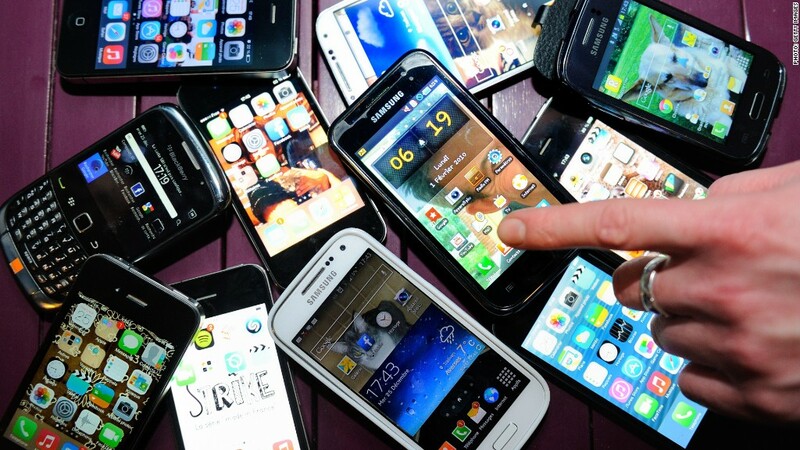 Customers can also trade-in their cell phones through a buyback program. Sprint makes house call for customer upgrading to a new cell phone. The upgrade experts will also bring their own wireless router so there's no need to connect to a personal Wi-Fi system, according to Rod Millar, VP of Reverse Supply Chain at Sprint. Some customers may also receive a signal booster free of charge if Sprint assesses in-home service is not up to par. If for some reason customers change their mind, Sprint's on-demand professionals will also have other cell phones on hand. But Millar says, during their testing among 100 people, this situation didn't really come up. "Most customers know what they want," he said. All this sounds great, except the process seems painfully similar to the way cable companies operate. Millar says that the concern is understandable, but won't be an issue with Direct 2 You. "Customers sign up for specific times, not windows of time," he said. In addition, the company has hired "very trained, very experienced professionals who enjoy making customers happy." Direct 2 You is designed to appeal to people who want control and convenience. On-demand delivery apps like Wunwun, GlamSquad, Alfred, and Postmate are all the rage right now, and larger companies like Sprint are trying to match that service model.